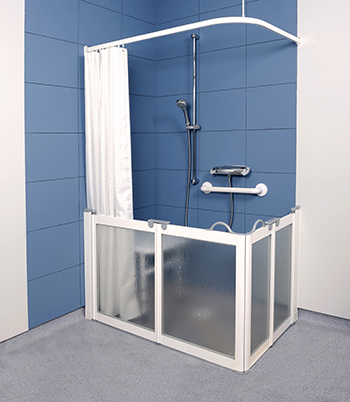 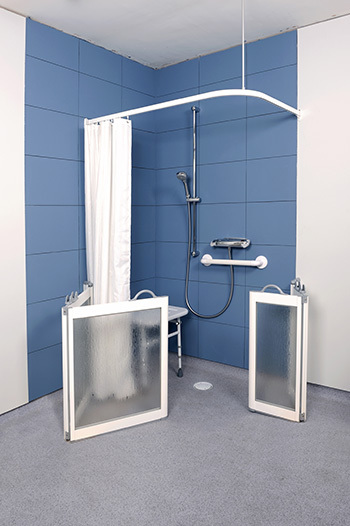 Corner entry half height made to measure shower doors ideal for assisted bathing or disabled, assisted showering solutions, offering splash protection for carers. 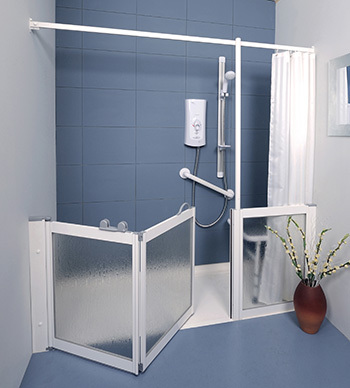 Practical and stylish, Contour’s attractive enclosures can be used by the whole family. 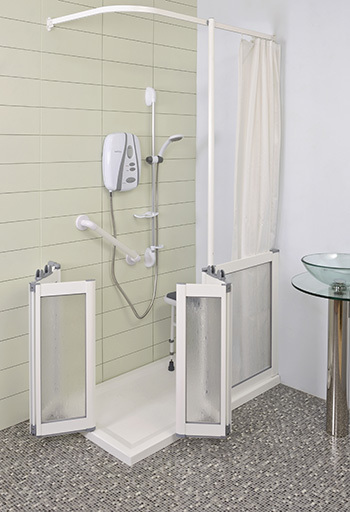 Finished in white with contemporary fittings and rise & fall hinges create enclosures of style, quality and exceptional appeal that are easily accessible and simple to install. 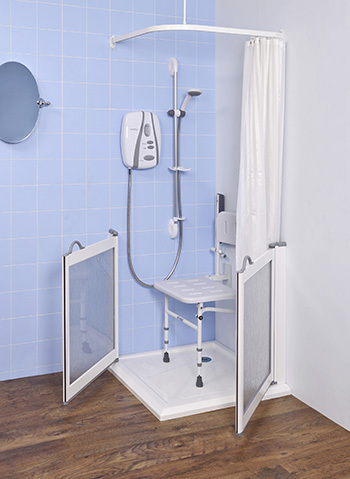 Suitable for wet floor areas or shower trays (Shower trays need a flat edge with a 40mm wide section on which to sit). 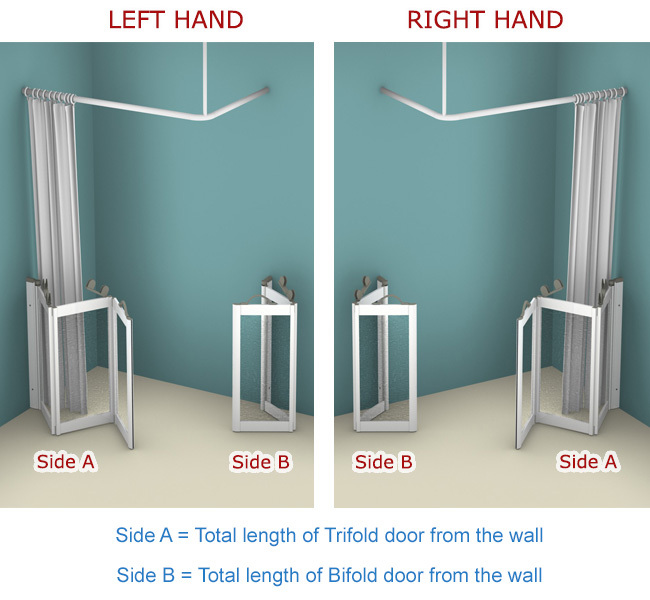 All doors have a 180 degree swing in or out from the wall bracket / compensator. 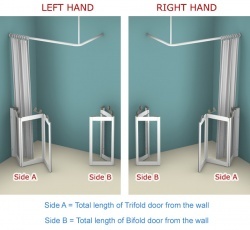 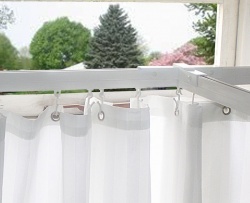 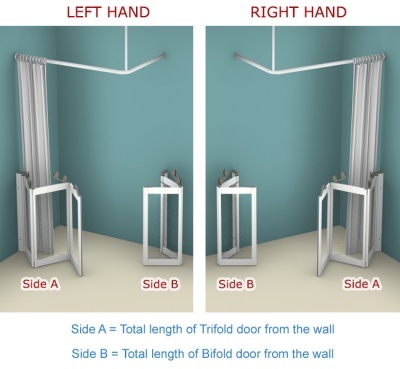 Where a configuration has a bi-fold door, the hinge connecting the 2 door panels will have a 360 degree hinge, allowing the doors to open in or out of the shower. 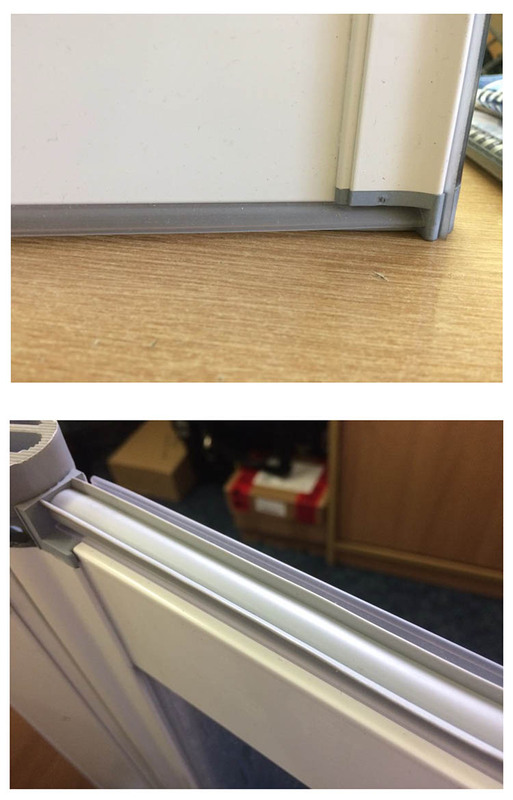 Contour White Half Height Doors / screens additional information and images.